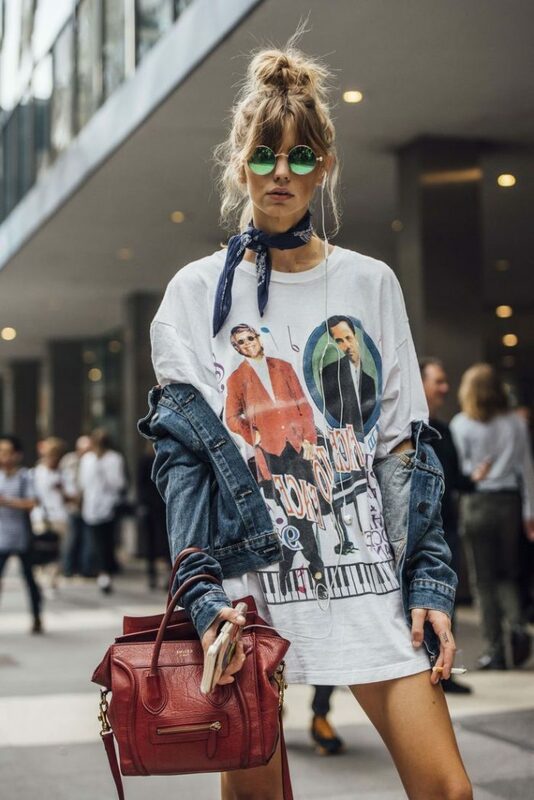 If you are looking for a stunning street style inspiration, then you better look no further than models off-duty outfit street style ideas. In today’s post, we are about to see amazing tricks and tips how to make these looks work for you. Be ready to see models appearing on the streets dressed up in great combos. 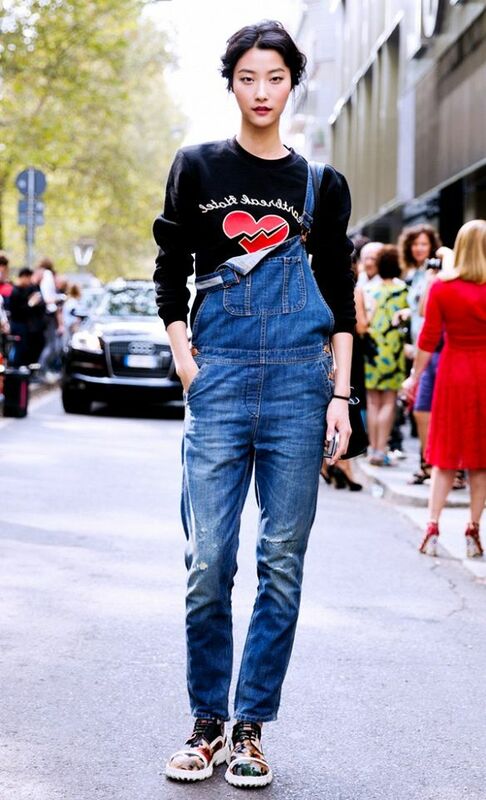 Below are showcased stunning street style looks to get inspired by and copy now. Keep on scrolling to find out more. The first look is the classic black and white combination. I think nothing can beat black and white clothing combination. Try on sweet white shirt-dress or blouse and pair it with black sandals or leather skinnies tucked in black ankle-boots. If you dream of something more casual, then you might like to try on a totally monochromatic outfit, consisting of a slouchy black pullover and ripped charcoal skinny jeans tucked in slouchy ankle-boots. Or you can keep your look cream white and beige by teaming wrap wool cardi-blazer with a casual beige top tucked in white cuffed jeans. The monochromatic style gives somewhat a minimalist look. If you don’t want to look dressy in your everyday life, then the best choice is to add a casual outerwear. This year jackets look stylish, functional and easy to style. All you need is to buy a pair of loose-fit jeans and pair them with a neutral color jacket. Personally, I do love to see ladies wearing khaki olive bombers and classy beige trench coats. If you are a denim lover, then the best look might be double denim outfit. Keep an eye on jean shirt-dresses, as well as jean jackets and skinny jeans combos. You can always go for a ragged chic look that is both relaxed and comfortable. In love with graphics and prints? If so, then you might like to try on band T-shirts or cool pullovers printed with lovely graphics and texts. Find a plain color shirt with a minimal print on its front and style it with cool jeans, shorts, overalls and any other bottoms. I see lots of gals who appear on the streets wearing flirty and romantic combos. Keep an eye on sweet looking cardigans paired with crop tops and high-rise skirts or maxi semi-sheer shirt-dresses. Personally, I am obsessed with this style lately. Anyway, let me know your thoughts in the comments below. Do You have any thoughts about Model Off-Duty Outfit Ideas? Here are Fashion Tips pictures and trendy women’s outfits which are in style in 2019: Black And White Clothes, Bombers, Casual Outerwear, Denim, Double Denim, Graphic Sweaters, Graphic T-Shirts, How To Wear Trench Coats For Women, Model Off Duty, Monochromatic Outfits, Must Have Fashion Trends For Women, Off Duty Style, Street Style Women's Fashion And Inspiration and tips on how to wear them on the streets. Pic n°1 : Auguste Abeliunaite.